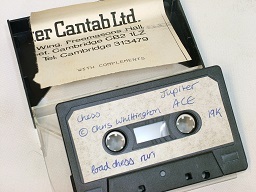 This is the renowned depository of the Jupiter ACE’s crown jewels … a dusty red vinyl cassette case containing Jupiter Cantab’s cache of 21 original development tapes. Hand written labels, the famous names and classic titles. 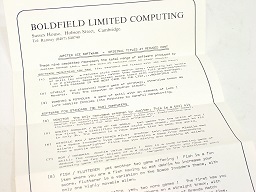 A tradition kept going by Boldfield Computing, so this ended up being home to 54 irreplaceable masters and originals. 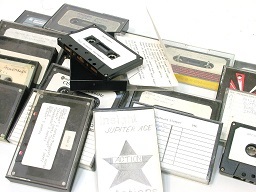 Another 90 or so cassettes, representing the tapes considered worth keeping by both Jupiter Cantab and Boldfield – a mixture of masters, unpublished titles, trial editions etc. 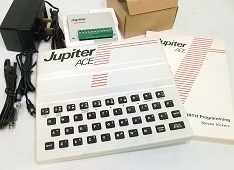 Jupiter ACE 19k and 3k, the remaining Boldfield and Jupiter Cantab boxed cassettes, some early development hardware, software User Guides, keyboard conversion kits, and even some of the infamous white plastic rivets that held the ACE together! 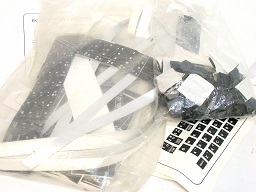 The retained collection of original promotional material, all the sales paperwork from the first day of ACE trading, and surviving handmade “cut & paste” masters for official Boldfield documents published to users. A signed document from the current owner that passed over to Andrews UK Limited the ownership of the Jupiter ACE project – this being the essential heritage of the ACE itself. 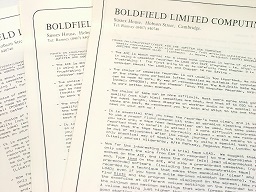 This included the fully documented history of provenance, with a signed confirmation from the Liquidator’s assistant who handled the 1984 transfer of the project from Jupiter Cantab Ltd to Boldfield Ltd, as well as a copy of the 2005 sales invoice that transferred ownership from Boldfield Ltd to the ex-directors. 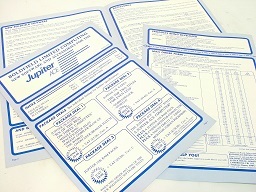 Andrews UK Limited after purchasing the brand then further went on to register the Trade Marks of the Jupiter Ace. The handover of the Jupiter Ace brand to Andrews UK Limited, took place in the summer of 2015. 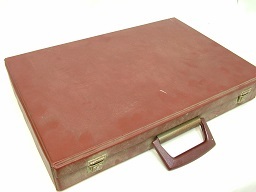 This is the renowned depository of the Jupiter Ace’s crown jewels … a large dusty red vinyl cassette case containing Jupiter Cantab’s cache of original software development tapes. 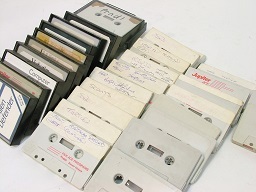 With hand written labels on 21 blank cassette tapes, these contain such classics as Hangman, Othello, etc., plus some unpublished titles including Reaction Timer (copyrighted by Steve Vickers), and a Chess game that has the particularly interesting inclusion of its internal paper sleeve being made from a torn Jupiter Cantab Ltd compliments slip – printed as “with complements”! 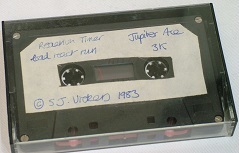 A distinctive style of blank tape was used by Jupiter Cantab in the early days, being black cassettes with a screwed construction and two dimples on the faces – usually matched to equally distinctive stick-on labels. 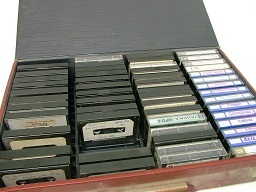 The Steve Vickers tape in the Red Box is one of these, as are others, such as the “complements” Chess cassette. So Group 1 is another 29 of the same style of cassette. The labels are all handwritten, and when dated are 1982/1983. 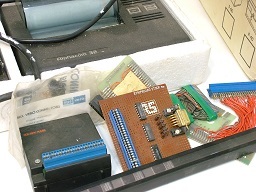 Titles include such things as “Educational demonstration package”, “Gantry”, “Kingdom”, ”RS232”, “Fenwicks demo”, “Toolkit”, “Hookes Law”, “Matrix Arithmetic”, “Moonland” etc. Some interesting scrawls amongst these, such as “Final 6/5/82” in pencil, followed by “Final 17/5/82” in red ink; or “Steves tape”, or “playing version on other side”. 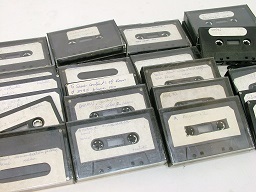 These are other early Cantab tapes, but just not on the same style of cassette. Seen amongst them is what appears to be the original for Moo/Hangman, handwritten as copyright R.Vickers and P.Vickers … presumably related to Steve Vickers. 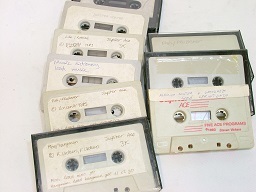 Mostly tapes sent in by home programmers hopeful of getting their Jupiter Ace software published. A lovely mix of hand drawn labels, neatly typed insets, and unpublished games such as “Action Stations”, “Pursued”, “Valkyr” etc., plus some technical ones too, “Toolkit” (by Remsoft), “PrinterfACE” etc. 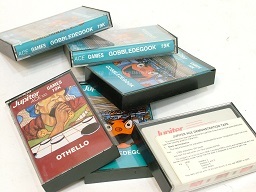 The cassettes here are more of the spare “Five Ace Programs” tapes being over-recorded with new development work, plus some of the blank cassette type used in duplication – so this dates these as coming from after the handover to Boldfield. This category also includes the few other tapes with no obvious origin. 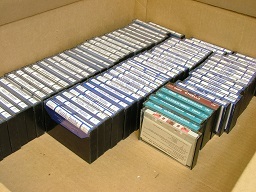 Production Tapes (approx 280)All the remaining Boldfield and Cantab boxed cassettes, supplied in the original outer cartons issued by the tape duplicators.These are all unused originals, complete with internal printed sleeves. 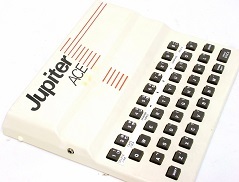 Like other micros of the time, the Jupiter ACE had a built-in rubber keyboard that was slow and awkward to use, so one of the most desirable accessories to have was a plug in “proper” keyboard. 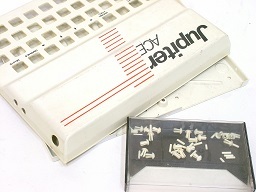 A popular model was the Memotech unit developed for the ZX81, but to use it on the Jupiter ACE you needed to change the writing on the key tops to match. This stock category also includes an empty case moulding, and that most prized item in the spares department … the impossible to buy white plastic rivets that held the ACE together! 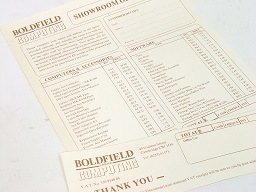 Illustrated front with Boldfield’s reduced pricing details and special offer, together with the full technical specification and a mail order form on the reverse. 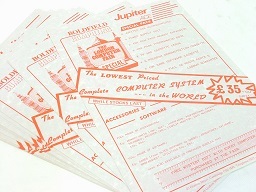 This is the first Jupiter ACE brochure by Boldfield, published in summer 1984. 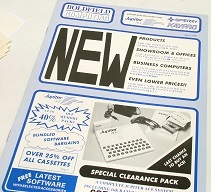 It lists all the new software and accessories available at the time, posted out to all known ACE owners, including a mail order form on the back page. 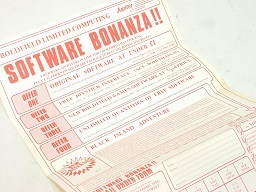 A single sided A4 promotion brought out for the launch of Black Island Adventure and in time for Christmas 1984. This was a folded item to reduce the cost of using large envelopes. A very rare document indeed. Just one of these, with the perforated receipt present but detached. This was a short print run of customer order forms for use in the newly opened Cambridge showroom (late 1984) to allow ACE buyers to select their requirements and place orders without tying up the sales staff. However the idea didn’t work as planned because most customers wanted to ask questions and be guided through the options – so the forms were quickly discarded. There are no known originals in circulation. 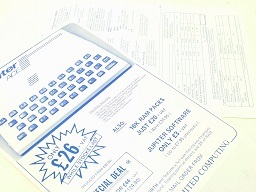 The second multi-page brochure for the Jupiter ACE from Boldfield, published early 1985. This represents the peak of the ACE project with more new software titles and the fullest range of accessories. Mailed to all known users, and including a location map for the new ACE showroom in Cambridge and another mail order form. The famous “Lowest priced complete computer system in the world” promotion. Weirdly printed on thick mottled grey paper because the printer had this left over from another job! 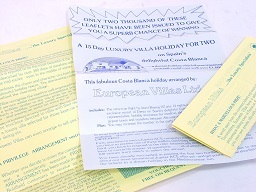 A surprisingly difficult quiz of 14 questions centred around the Boldfield software titles, spread over two folded A4 sheets, with a £1000 luxury villa holiday as the top prize, and a £50 voucher off any other villa holiday. Closing date was 31st July 1985. The competition was limited to 2000 entrants (predominantly the Jupiter ACE mailing list), and only 7 correct answers were received for the draw. The winner proposed to his fiancé and used the prize as their honeymoon. 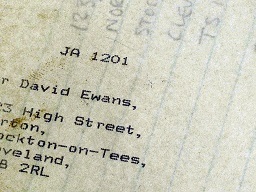 The first Boldfield mailing (Feb 1984) using contemporary photocopies – listing only the Jupiter Cantab titles, but informing ACE users that Boldfield titles would follow soon. 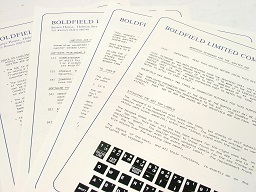 A few days before mailing out the four page brochure, Boldfield contacted all the microcomputer related magazines and local papers with photocopies of this press release along with a preview copy of the brochure. The Jupiter ACE could be frustrating to load from the typically low quality cassette recorders being used at the time, so Boldfield published this double sided sheet summarising hints & tips to help owners with their volume levels and recording techniques. 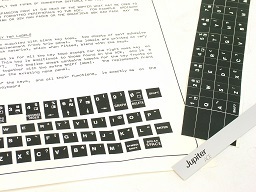 It was based on experiences kindly complied by the Jupiter ACE Users Club in Brighton. In 1984, cut & paste meant exactly that, with paper, scissors and glue, followed by Tippex for the editing! All the Boldfield literature was made this way, either followed by photocopying or being sent off to the printers. 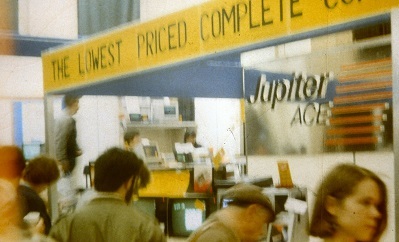 Having acquired the Jupiter ACE project on 21/02/84, Boldfield Computing received its first trickle of Mail Orders by 24/02/84 and starting selling ACEs on 01/03/84. On the first day, 10 orders were processed, including one to The Ministry of Agriculture, Fisheries and Food. This is a fascinating collection of all the original paperwork from that first day of trading, including the incoming handwritten and typed letters, some cut off halves from the first batch of flyers (red and black version), and the office layer of the dot-matrix printed sales invoice. 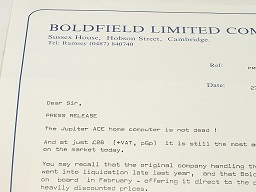 Boldfield started a new “JA” invoice sequence numbering for the ACE project, with the first order being known as “JA1201″ rather than “JA0001″ just in case early customers felt nervous about being the first to buy the machine after the collapse of Jupiter Cantab!